Subscription boxes are everywhere nowadays. They come in all shapes, sizes, brands, and themes. So what's different about SeasonsBox? Well, SeasonsBox provides a monthly box of three to five full size products for your home, body, and spirit. Each box has a theme, which is tailored to a particular season or a special occasion. And all the handpicked products are environmentally conscious. I was contacted by SeasonsBox and asked if I was interested in receiving a March box for consideration. I did some research and ultimately agreed because I've heard many great things about this service. In particular, I've been creeping unboxings from my friend Lesley (from Petite Pear Style). Check out her posts on the January SeasonsBox & the February SeasonsBox. 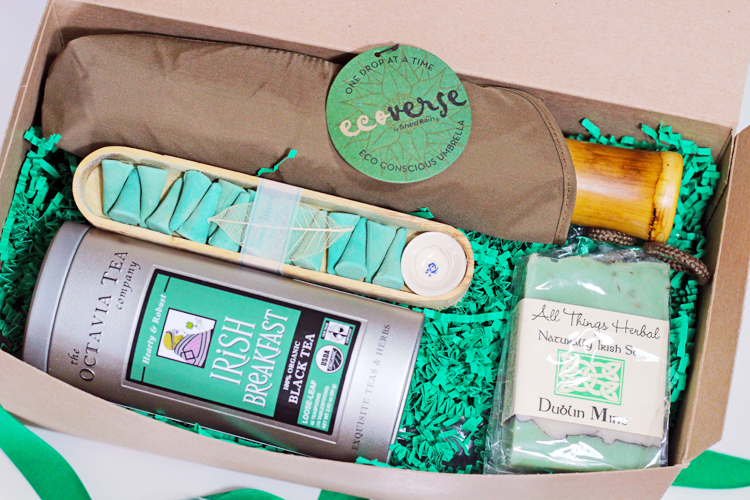 The March SeasonsBox had a fun St. Patty's day theme. 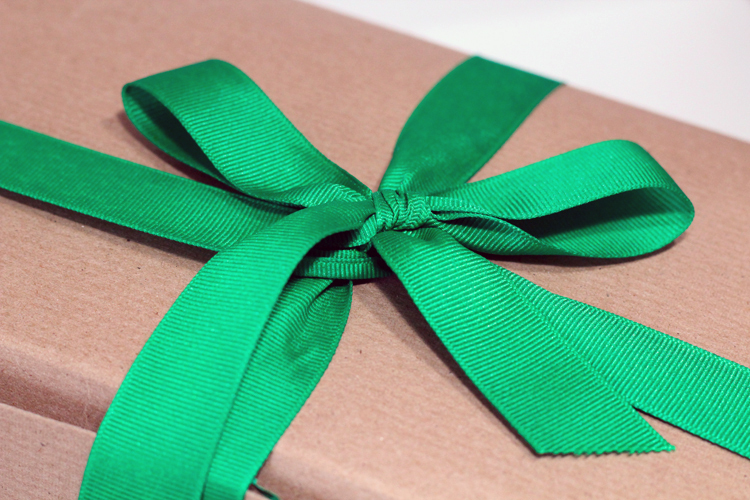 The box itself was fairly large and it was wrapped with a festive green ribbon. When you opened the box, all four full size products were laid out neatly. You can immediately sense the theme. 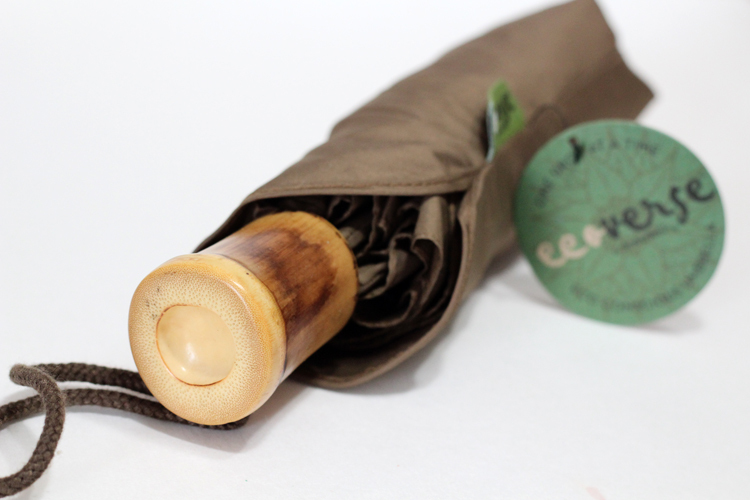 I have to say, this is the first time I received an umbrella in subscription box. It's a wonderful addition, though. With Spring showers on their way, an umbrella is something I can appreciate. It's quite compact, which makes it a great travel companion. 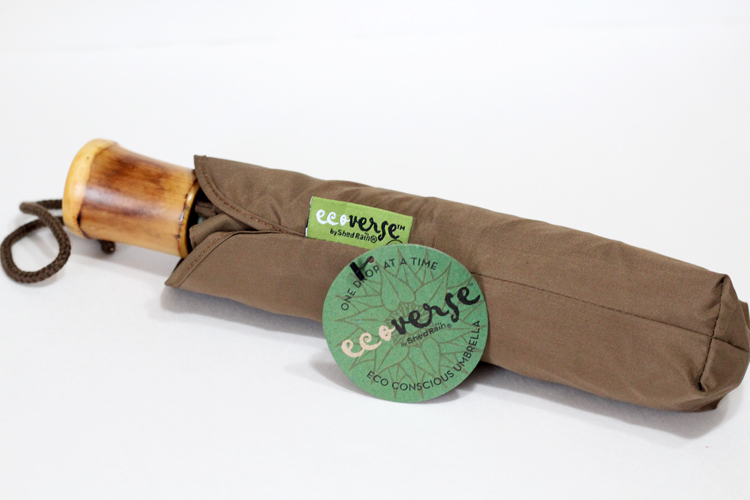 From what I've read, these Ecoverse umbrellas are made from recycled materials. I also love the bamboo handle. Having already used this umbrella once, I can say that it's quite sturdy and easy to use. I'm becoming quite obsessed with handcrafted soaps like this one. They just seem to smell so much better (and much more unique) than regular bars of soap. 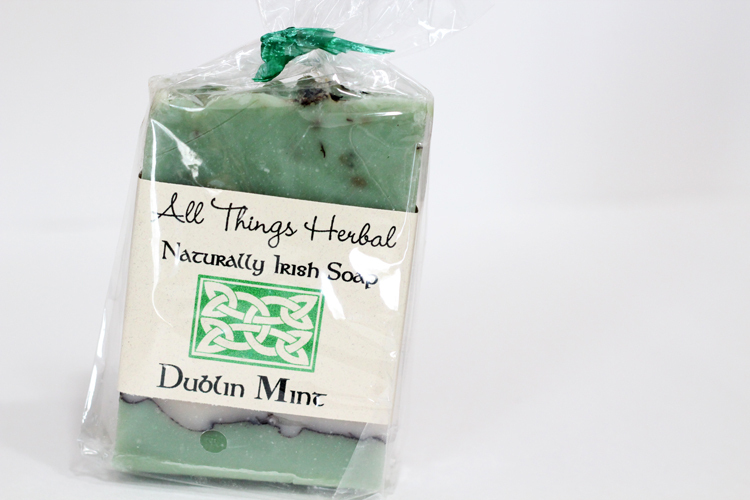 This Dublin Mint Irish soap is a mix of spearmint and peppermint. I can't wait to use it. It smells so refreshing! I wish the internet had smell-o-vision because I know your olfactory system would love it (if you're a mint person, that is). I haven't burned incense in years. I'm more of a candle person (and even then, I rarely burn them). 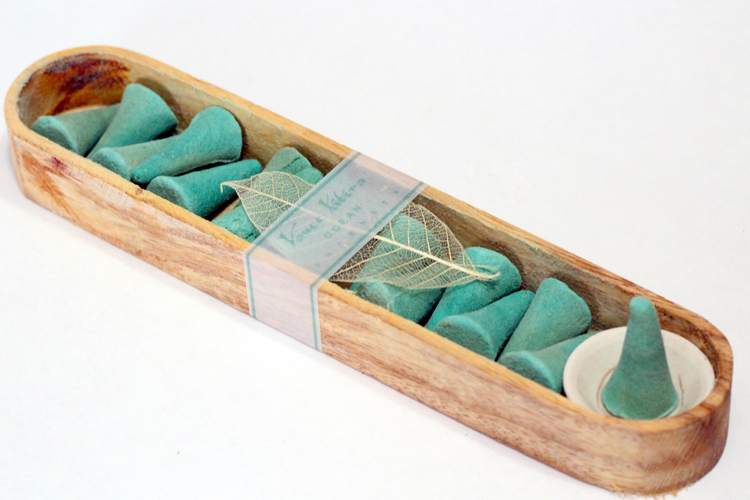 I've also never used incense cones before. My experience has been limited to incense sticks, so I really had no idea what to expect. I received the scent Ocean. It smells great. I can't really pinpoint a specific note that stands out though. If I could describe it in a few words, I would say the scent is fresh and calming. It has become somewhat of a ritual to burn a cone while meditating. I am becoming such a tea person. I especially have a fondness for loose leaf teas. I find they just taste better. 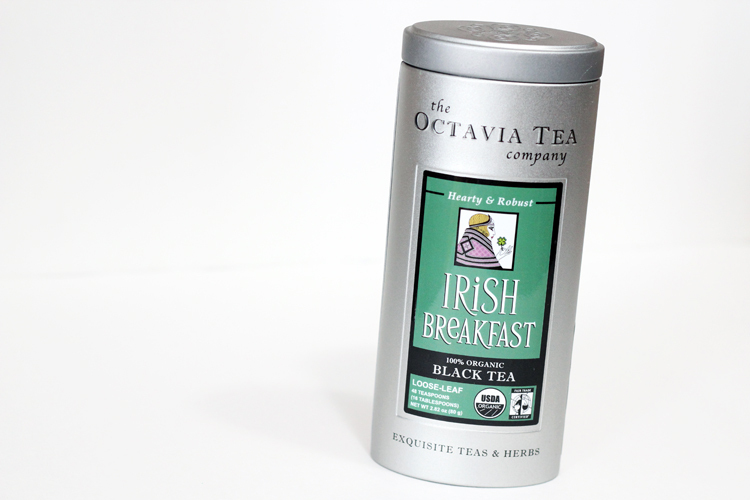 I received the Irish Breakfast Black Tea. I had some the other morning and I really enjoyed it. Black tea is quite a bit stronger than my usual green tea, but it's tasty. It smells great and it's energizing. Those were all four of the products in the March box. I loved the fun theme, it was well thought out. My favourite thing about this box is the fact that it's not solely beauty related. It's more of a (eco)lifestyle box. The monthly subscription price is $34.90 (which includes shipping). I signed up and they sent me TWO March boxes by accident! The soap is a wonderful smell! Not too overpowering but not too subtle either. omg i love this!! Canada should also have an organic box with all natural products and foods lol. Weird and irrelevant question… What kind of stuff do you do with your friends when you hang out and stuff? After finishing school and working full-time since last summer, I thought I'd have more time with friends and "have a life" but I noticed it's the opposite! It's super hard to organize regular get togethers with everyone's busy schedule, working at different sides of the city, and when everyone is tired after 5pm and have to wake up early the next day! Whereas when we were in school, we would see each other almost every day or at least once a week, and have similar schedules. Also I remember you mentioning your friends don't have the same interest in makeup as you.. Do they know about your blog?